Depart 1pm from Llandysul Car Park (remember to pay and display). 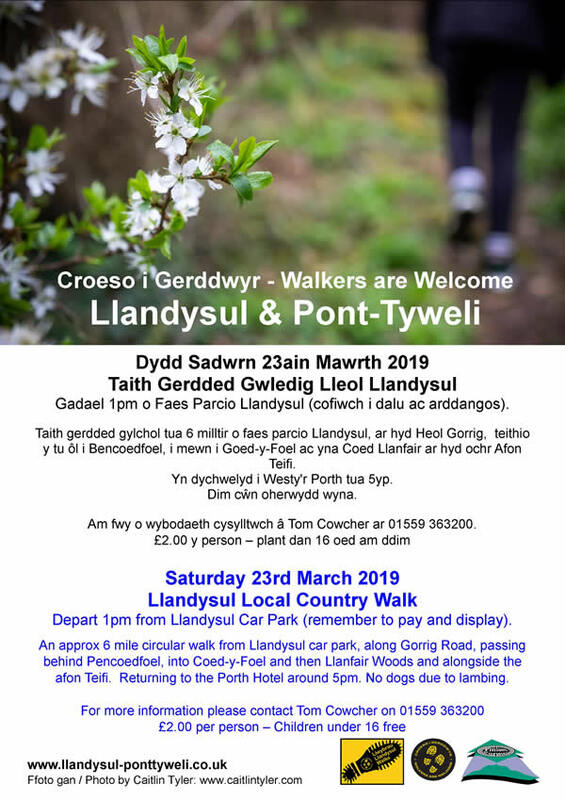 An approx 6 mile circular walk from Llandysul car park, along Gorrig Road, passing behind Pencoedfoel, into Coed-y-Foel and then Llanfair Woods and alongside the afon Teifi. Returning to the Porth Hotel around 5pm. No dogs due to lambing.